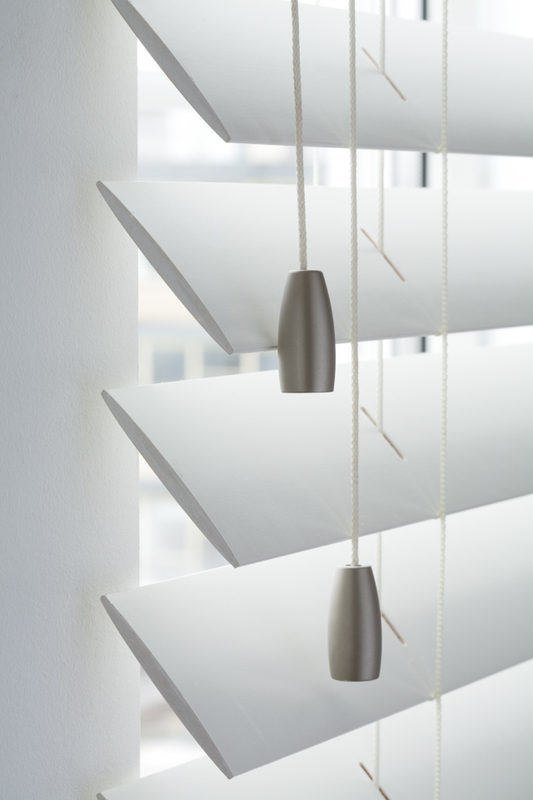 From January 2012, two easy break chain connectors are fitted as standard on all Xpress Blinds Excel and Fabric Box roller blinds. 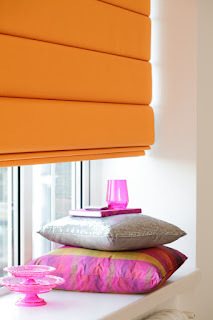 Fitted 2 per blind, they are designed to break under a 3kg force. A cord and chain cleat is provided with all Decora products with chains or cords – these are to be fitted to the side of the window to allow cords and chains to be secured safely out of children’s reach. All our fitting instructions across all products include directions on how to fit a cleat. Warning tags are attached to all blinds to remind customers at point of installation of the potential hazards. A new larger warning tag has been introduced to ensure the safety message is highly visible.< Plastic ring stops are fitted at the top of raise control cords on Sunwood venetians - this stops the ladder cord being pulled to create a dangerous loop. 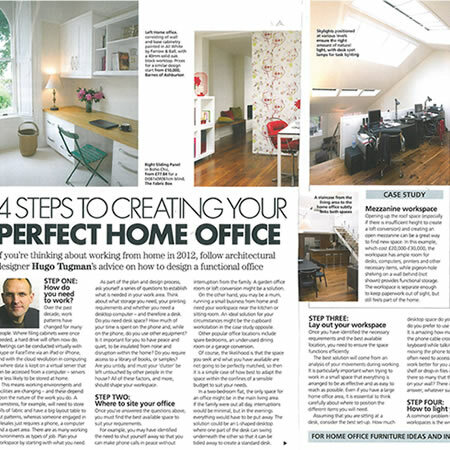 Architectural designer Hugo Tugman highlights Four Steps to creating your perfect home office. Offering tips and tricks to expand a small space and make best use of light in your work area. Hugo explains how sectioning off your workspace with a sliding panel blind can offer privacy in a main living area by recommending The Fabric Box’s Boho Chic panel blind for that perfect solution. 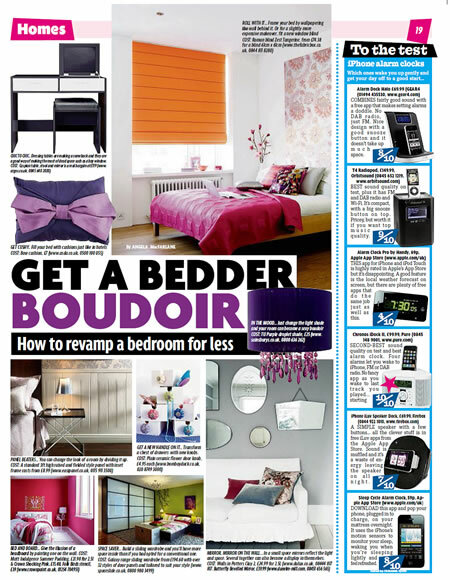 The Sunday Mirror has featured The Fabric Box roman blind – Zest Tangerine in their ‘How to revamp a bedroom for less’ article. 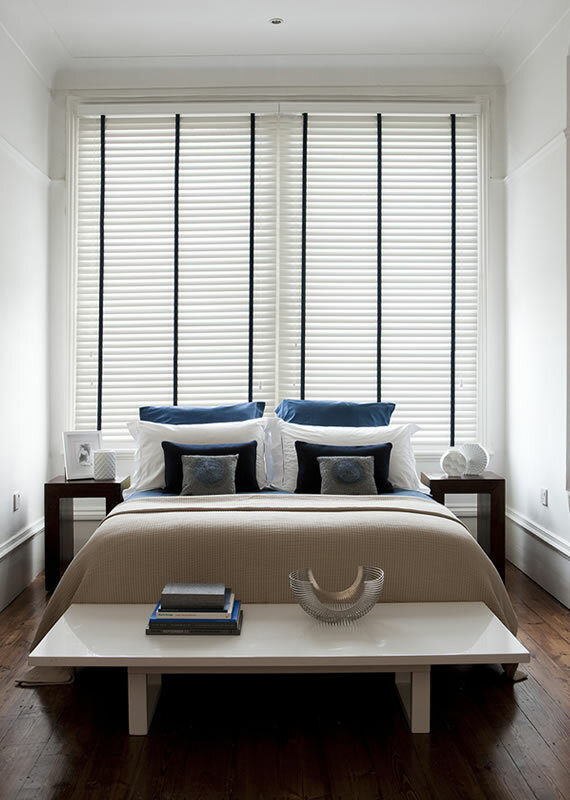 65mm Sunwood Contour Slat, Shutter Style Blind! 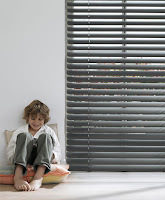 We have been getting a lot of interest in our 65mm Sunwood Contour Slat blind. It is not on the website yet but is available to order over the phone with 25% off during January. Samples are available in all 3 colour ways, Purity (white), Pearl and Cameo (light cream). It is also available taped with all the 17 Sunwood coloured tapes, contrasting metal tassels and metallic or leather valances. 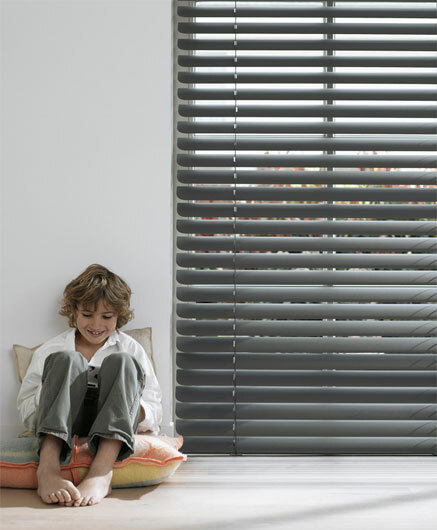 Call 08005200967 or email sales@xpressblinds.net for a sample. Beat The Increase! January Sale Now On! Xpress Blinds is not increasing the VAT rate and is freezing it is rock bottom prices for January. Now with 10% off all wood blinds. Now with 10% off all aluminum blinds. 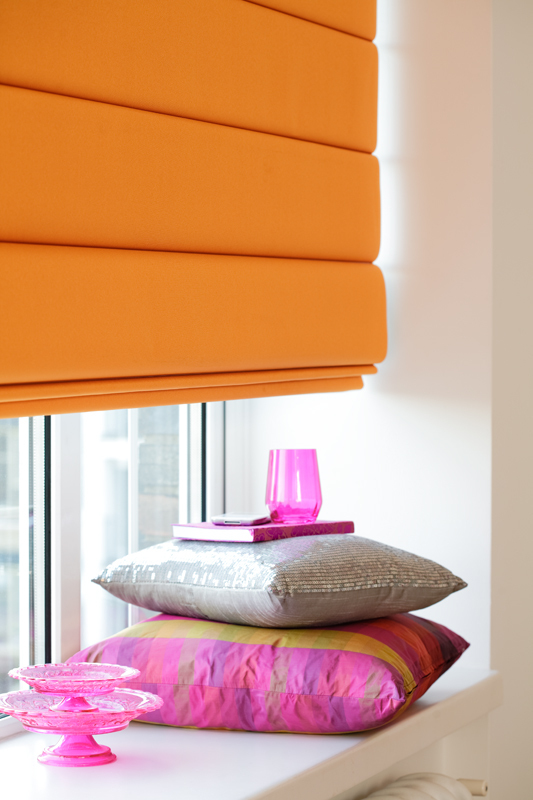 Now with 10% off all roller blinds. Now with 10% off all pleated blinds. Now with 30% off all vertical blinds. DIY SOS: THE BIG BUILD - NOTTINGHAM on air Thursday 6th January on BBC 1 at 20.00. The latest episode of DIY SOS will be on BBC 1 this Thursday. Xpress Blinds Ltd is very proud to have help out on this episode as with all the others we have done.